Harold Wilson once suggested that a week was a long time in politics. My own view is that a day could be described in much the same terms. Waking up at the beginning of the week to read the 853 blog was a real surprise. Could this be happening to me or was it a bad dream or a chapter from a bad novel? There are those who believe that there is a plot or conspiracy around every corner. I don’t subscribe to that view. Why would anyone be interested in little old me. I simply don’t buy the suggestion that someone using an internet account in Portugal would try to implicate me by gathering information to threaten my political credibility. Whatever has happened in the Town Hall is in the past. I am looking to the future and staying focused on the campaign trail. I was delighted to have been invited to three hustings in recent days. The interest in political issues was a breath of fresh air and a big “thank you” to the organisers. It was interesting to see the Conservatives and Liberals doing everything possible to avoid any association with their parties. Clear blue water in abundance. You would think the candidates had not kept in touch with the disgraceful way that their parties have attacked the most vulnerable. Interesting to listen to “Call Clegg” on LBC on Thursday to hear him supporting the bedroom tax. Shame on him. Having spent my time in many parts of the Borough in recent weeks, people are not concerned about political tittle tattle but about how the decisions taken and the policies being discussed are going to impact on them and their families. Our record of achievement is valued and appreciated. Improving education standards and protecting Children’s Centres from closure as a consequence of Government cuts are high on the list of resident priorities. Protecting people from the bedroom tax, promoting training and employment opportunities are among the priorities that people appreciate. Greenwich Labour Party has a proud record of achievement and is defending its record in the forthcoming election. Opposition parties seek to conduct a negative campaign with very little detail on policies. Our vision is about building a strong economy, provide support for the vulnerable and protect those under pressure from an uncaring Government. Our manifesto is certainly worth a read. Labour candidates are out and about across the borough spreading the message. My colleagues and I will be at the Riverside Hustings on Sunday evening in St Thomas’s Church in Woodlands Terrace from 7.30pm. If the above links don’t work, you can download it from the Greenwich & Woolwich Labour Party website. Interesting to note the timing of the interference by Eric Pickles in attempting to circumvent decisions that are appropriate to be taken by local government and those decisions to be rejected or supported by local residents. It will take much more than a photo opportunity with Nigel Fletcher, Deputy Leader of the Conservative Group in Royal Greenwich and Eric Pickles, to stop the slide in the fortunes of the Conservative Party. Electors, fortunately, have long memories. Stepping into a clearly local issue is never good politics. Even more so when the impartiality of Eric Pickles is in serious doubt by attacking five Labour Councils in the middle of local elections. Much more important for Government Ministers to be concentrating on the important national issues like the disaster facing the NHS. Wow, I was under the impression that Localism meant that decisions taken locally can be challenged by local residents and rightly so. It is Eric Pickles that undermines free speech while lending support to his Press Baron friends. Greenwich Time, over the years has had a mixed reception and demands for change are clearly appropriate. However, that is a decision that should happen locally and both residents and local organisations should be consulted. This is surely common sense and not a matter that requires Eric Pickles and local Conservatives to bully the Council into a decision that should and must be determined locally. Politicians in recent times have come in for a lot of criticism: aloof, disinterested, not in tune with the mood of the country and inward looking are some of the most colourful comments. Journalists have fed this frenzy, allowing limited opportunity to get our point of view across. In the main, most politicians are hard working, do care and have a high level of public duty. Decision making is a major concern. Constituents feel far removed from the decision-making process, resenting the fact that once elected, politicians ignore their wishes or aspirations. There should be no place for those believing in the mantra that “we know best”. The times they are-a-changing. In my own area of cabinet responsibility, both Health and Social Care are constantly in the news headlines. People are uncertain about where they can go for help, for themselves or their carers. Are they a priority for additional services, if not how can they be assisted in remaining independent and getting support from the many agencies that exist in the Borough? Improving the wealth of knowledge is critical if people are able to retain their quality of life. Major changes are taking place in Health provision, some good, some not so good, but helping people to remain fit and healthy remains a challenge. Again, help and support is at hand. Starting on Friday 28th of February from 2pm I will be having an “Open House” session for those concerned in the Borough who are seeking that helping hand. The sessions will last up to two hours. They will be held on the last Friday of each month. 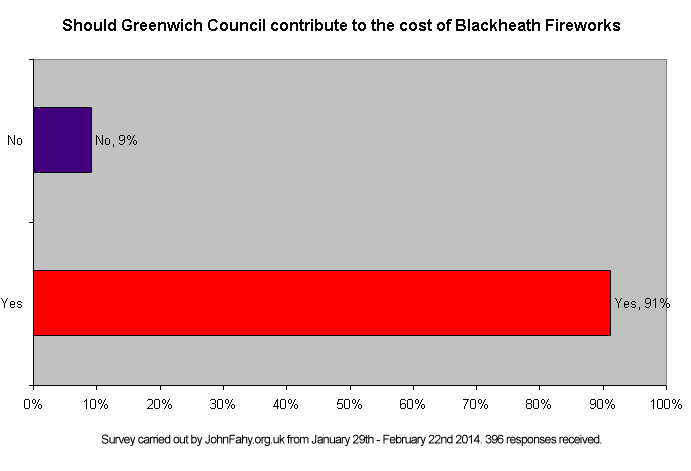 People can also write to me if unable to get to the Town Hall or email john.fahy@royalgreenwich.gov.uk. I am also looking to utilise Skype which is becoming very popular with older people. Further details later. Join the debate at the Greenwich Cooperative Development Agency at Mitre Passage next to the 02 on the 13th of February. An exciting opportunity to learn about cooperative and social enterprise models helping hard pressed communities across the country. Register early to avoid disappointed . This is a free event. 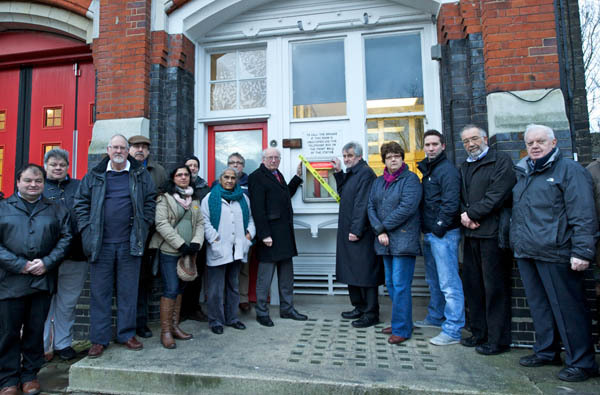 Emotions were high with the closure of the fire Stations across London on Thursday. Woolwich was no exception. We can never achieve the quality and commitment of public service as more and more resources are taken away from the public sector. Attacks on jobs and services are gathering momentum. Police, Firefighters and Underground Office Ticket Office staff. The arrogance of the Mayor clearly knows no bounds. Should we do more, yes of course and we need to reflect how best to campaign more vigorously. As each year passes a period of reflection is necessary. It is important to take stock on your performance and consider how to take positive decisions in the interests of those you represent. Representing the same locality for twenty four years is a real privilege for me. Having the confidence of the community you serve is very important to me. This does not imply I get everything right. Far from it, but on balance I believe I get most things right. The impact of social media on those in public service has been enormous. Having the ability to engage with all shades of opinion is essential and needs to be widely embraced. I share the widely held view that as elected representatives we have a duty to be available to our community and take their views into account. Residents need to have increased access to their elected representatives. They want their views taken into account before major decisions are taken. They want a voice and rightly so. I propose to hold Open House events in the Town Hall on the last Friday afternoon of the month starting in January for those I represent in a Woolwich Riverside. I will be reporting on my activities in the Town Hall and consulting with them on the important issues facing us all in the months ahead. Watch out for further details. We continue to have regular Friday evening surgeries and an additional surgery is being organised in Woolwich Dockyard. Contact me on the Blog or write at john.fahy@royalgreenwich.gov.uk. Residents of the Arsenal have been concerned about the costs of energy,having regard for the fact that a monopoly exists. Detailed discussions have taken place and very much hope that this helps to clarify the position. A further update will be provided after the negotiations have been completed. Happy to arrange a meeting of residents.